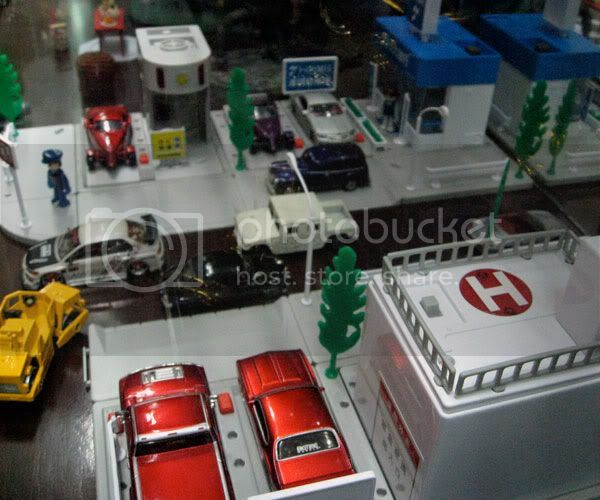 Have you ever heard of Tomica? Do you ever play with it? I did. 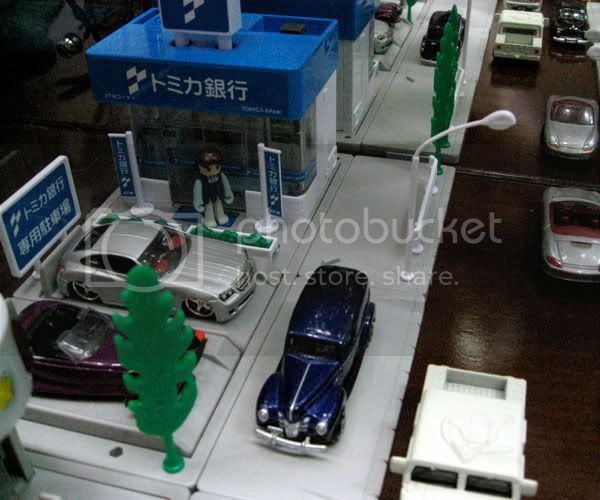 My first Tomica was given by my Dad when I was 4 years old. My dad gave me one and starting from that day i fell in love with the die cast hobby. But, what can you expect from a child at that age? I failed to keep them well, most of them are lost when I moved to the capital, and some of the rest were lost one by one when I played with my friends. Nowadays, with the mindset in reviving my first crush on die cast, I decided to collect them once again. 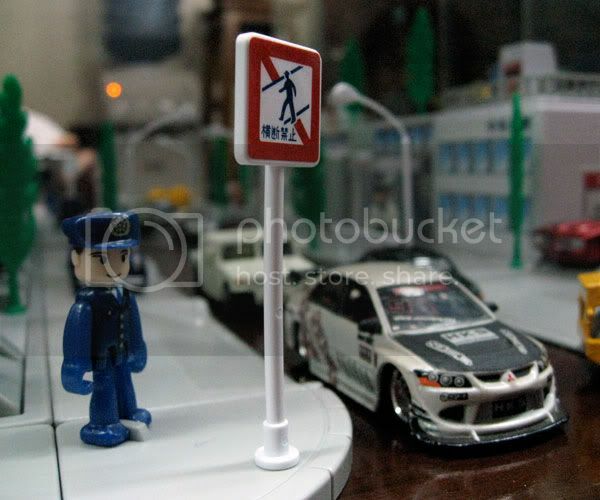 This time, I bought the diorama also. I always tell my wife that this collection will belong to our son in the future. And that's it, we are now starting to collect the die cast one by one using the little extra money on hand. 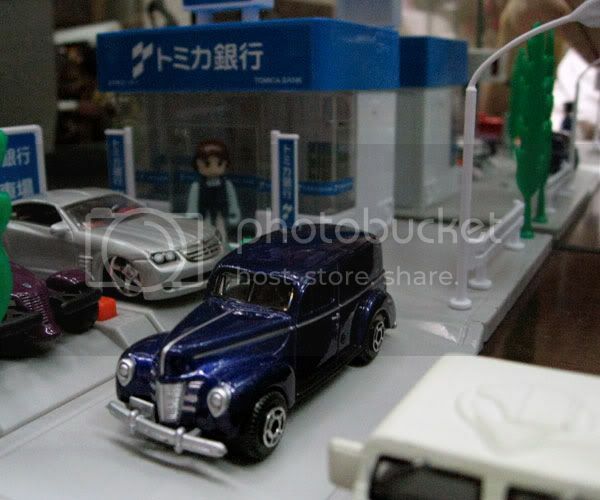 So, here is some of the collection we (me with my wife) have in our apartment, we put it in the diorama so you can enjoy sightseeing the way of living in a Tomica Town. 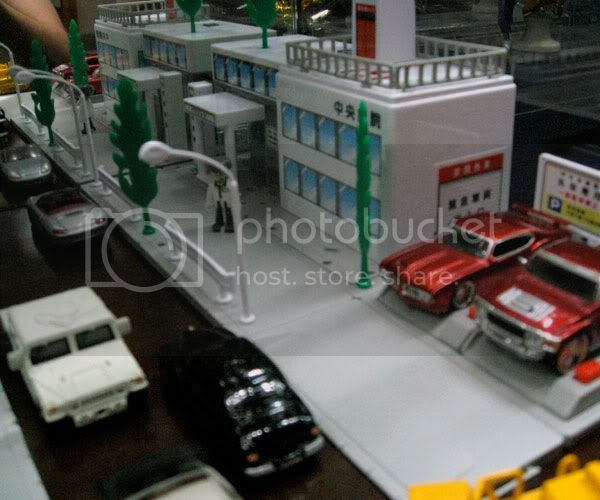 Actually, the diorama that I bought is the newer version of the Tomica Town series. They probably look similar with the old version, but the trotoar is a bit different. You will also get one civilian in each town's box. 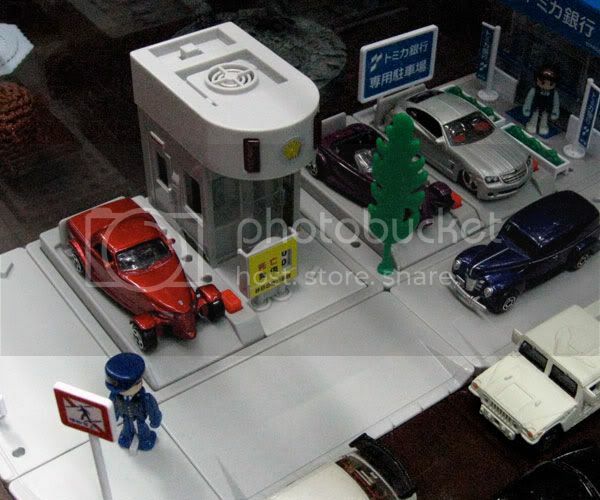 So far I have got a policeman, a doctor, a gasoline officer and a banker. For me, the newer version's civilians are much better than the old one. For the die cast, well I didn't put all the Tomicas I have in the photos, maybe you'll notice that some of them are Jada Toys. The die cast details just seems different than the one i used to have before. It's not as sharp as i think. 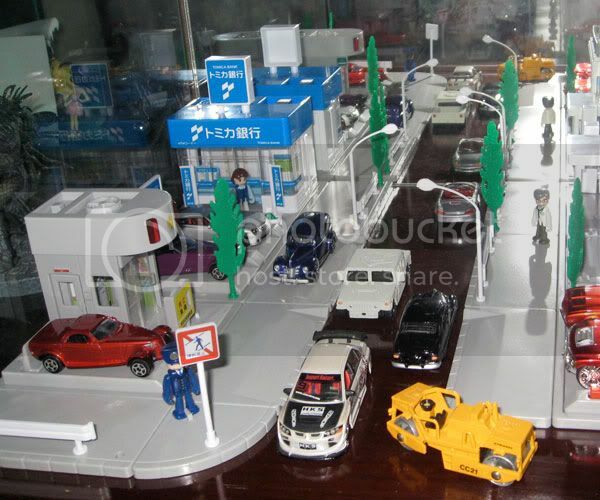 The technology have changed and it is much much better nowadays, but I still think that the classic Tomica is still the best in terms of quality.